If what you say about the RGRPC having received UP authorization to use the Rio Grande "brand" is true, then what you have is not a legal obstacle but either concerns about changing the marketing effort in the middle of the stream--or plain old inertia. There are a number of ways one could go about introducing the Rio Grande product. For example, up the road at the Canon City & Royal Gorge, nobody utters that long corporate mouthful, and everything is lettered in Royal Gorge Route in the "flying" Rio Grande lettering style--and the product is marketed as the Royal Gorge Route. In addition, to satisfy the historical purists, the "F" units are painted in classic Rio Grande gold, silver, and black and the road switchers are all black with the "flying" gold Royal Gorge Route on their flanks. It seems to serve all of the operation's marketing needs, satisfies the historical purists, and says for those who care that they are the worthy successors to the true Rio Grande. I don't think 99% of the people who ride the C&TS care one whit how the tenders and cars are lettered. 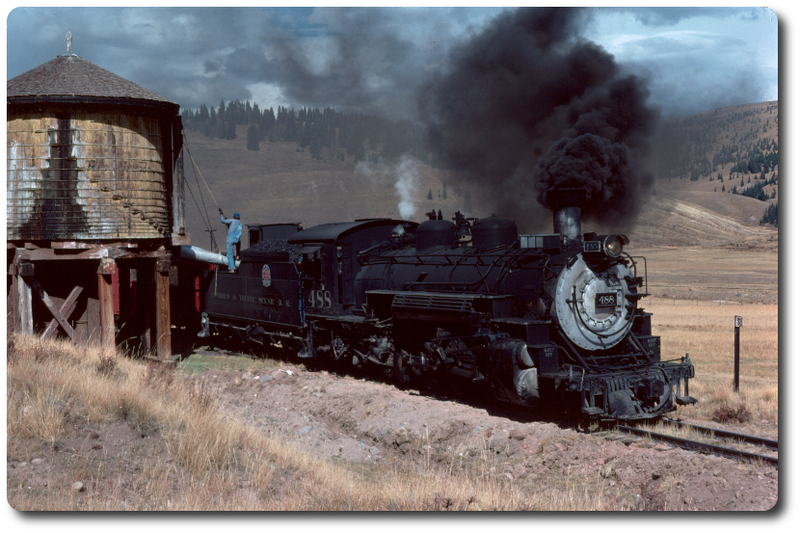 If it takes the railroad one step closer to its true legacy, then splash "Denver & Rio Grande (Western?)" all over everything, but continue to market the railroad as the C&TS, since it is 40 years too late to revert everything to the original name. Then those who care will know the historical context, and for those who don't care, it won't matter. Just my 0.05 cents (after taxes) worth. Re: NG in the Urals - Rio Grande in Russia?